"We must plant the sea and herd its animals using the sea as farmers instead of hunters. That is what civilization is all about - farming replacing hunting". Indeed we have, as reported in the last FAO Fisheries & Aquaculture publication, wild captured seafood is maintaining an even level and seemed to have reached its limitations, however, aquaculture production has recently eclipsed wild captured seafood harvest levels. Personally I have not dealt directly with the Best Aquaculture Practices (BAP) standard but, as seafood commodities are over 90% of globally traded foodstuffs and BAP is GFSI benchmarked, I felt it prudent to bring it up on IFSQN. 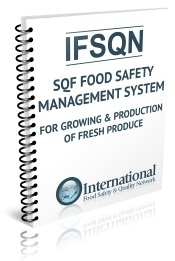 Perhaps this will foster a forum that IFSQN has done extraordinarily well with the other food safety standards and best practices ideas. Last year I was at an aquaculture conference in the US. It was addressing food aquaculture developments in the Americas but was indeed an international crowd. Ranging in all species, on all continents, off-shore/marine and land-based development, feed, nutrition, water quality, veterinary, environmental, marketing, food safety, regulatory, you name it; both technical and general as well as addressing the global impact. With this growth in aquaculture food production, there has been a continued concern with its food safety (anti-biotic, growth hormone, chemical), processing, environmental and social impact. For a GSFI benchmark standard, SQF has recently attempted to capture these with add-ons or "modules". However, strictly for aquaculture, in 1997, executives from the shrimp industry formed Global Aquaculture Alliance (GAA) in response to growing anti-aquaculture pressure. In 2003, it established a code for Best Aquaculture Practices (BAP) and in 2010 it was GFSI benchmarked. As feed was a concern (anti-biotic, growth hormone, chemical use) in 2006, standards for aquaculture feed mills and extend coverage to fish. It is now perceived as a sustainability Eco-label standard covering environmental as well as food safety and social labor concerns. I know, social labor concerns are not a food safety issue but are a food traceability concern. If you caught The Guardian article exposing human trafficking in the Thai shrimp industry this year, it did not only apply to the aquaculture shrimp possessors but to the sourcing of their feed in the shrimp supply chain. Large retailers selling Thai shrimp were raked over the coals on this issue. In the last FAO Fisheries & Aquaculture publication, wild captured seafood is maintaining and even level and seemed to have reached its limitations, however, aquaculture production has recently eclipsed wild captured seafood harvest levels. In the US and Canada, with the expected exponential global growth in aquaculture, the majority of top food retailers are now only accepting aquaculture products that are certified. I have personally witnessed tremendous growth in BAP certification in the Americas alone in the last 3 years. In 2013 BAP identifies a 31% increase in the number of facilities certified, a 29 per cent increase in the volume of product originating from BAP-certified processing plants and an impressive 57 per cent increase in the volume of product originating from BAP-certified farms; no doubt these numbers have increased in 2014. With the development of RAS (Recirculating Aquaculture Systems), one is now seeing vertically integrated aquaculture processors in continental interiors entirely independent of oceans, lakes and streams. In addition, this year National Oceanic and Atmospheric Administration (NOAA) reported about the completion of formal study, led by scientists at National Ocean Service’s National Centers for Coastal Ocean Science (NCCOS), evaluated the environmental effects of finfish aquaculture, including interactions with water quality, benthic habitats, and marine life across various farming practices and habitat types. They concluded that US coastal ocean aquaculture can be environmentally sustainable; a sanction, if you will, for the aquaculture industry. BAP (Best Aquaculture Practices) is a unique standard promoted as an audit covering “Community, Environment, Animal Welfare, Food Safety and Traceability”. BAP is strictly an aquaculture Food Safety, Sustainability and Sourcing audit standard. 1997, executives from the shrimp industry formed Global Aquaculture Alliance (GAA) in response to growing anti-aquaculture pressure. 2003, established a code for Best Aquaculture Practices. 2006, standards for aquaculture feed mills and extend coverage to fish. 2010, seafood processing plant standards were benchmarked against GFSI Guidance Document Fifth Edition. 2013, now perceived as a sustainability Eco-label standard covering environmental as well as food safety and social labor concerns. With the concern of Sustainability Certifications, Traceability & product Chain-of-Custody Sustainability/Sourcing standard are battling it out for dominance but are NOT concerned with food safety as a GFSI benchmark. However BAP is both. As of mid-2013, who wants BAP audits? National Fish & Seafood Co. It is clear BAP certification has already become widely mandated. If there are any members out there dealing with or handling BAP audits it would be great to hear your comments, concerns and frustrations. BAP being strictly an aquaculture Food Safety, Sustainability and Sourcing audit standard; it crosses over a lot of other iuuse of Envronmental. "Socail accountability" and sustainability criteria that is often placed on QA's plate to deal with. So… any people out there dealing with or handling BAP audits? Comments, concerns, frustrations, etc? In the least, Sustainability and Sourcing (really just a metter of traceibility) is firing across the QA bow? As I have illustrated above, has anybody out there been dealing with BAP/aquaculture? I'm going to say not on this site Baron. As you can see, there are 0 post under BAP. However I work closely with someone that is 2 star BAP in Canada. There seems to be some overlap to what the ASC wants and BAP. I see a lot more people are starting to head to ASC standard/certification.